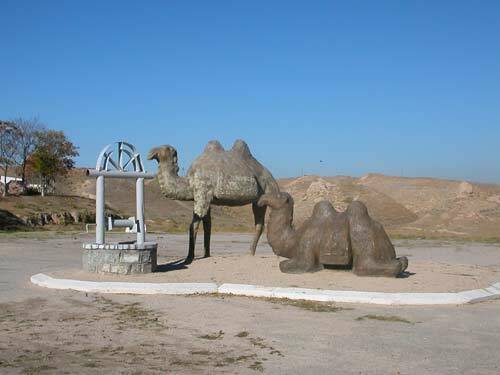 The museum of formation of Samarkand on Afrosiab. The museum is located on the site of ancient settlement called Afrosiab. The archeological excavation, beared outstanding results, was started here in 1894. The revelations of Afrosiab narrate about the history and culture of Sogdiana, an ancient Persian province, 6-8 centuries. The wall-paintings from the palace of local governors come first among those revelations. It is said, Afrosiab was the name of the legendary king of Turan. For its turn, Turan was the name of huge territory, which formerly almost completely covered the space of Central Asia. As the capital of Sogdiana, Aafrosiab was conquered by Alexander the Great in 329 BC. In the early 8th century AD, it was conquered by the Arabs and soon became an important center of Muslim culture. In 1220 the city was almost completely destroyed by the Mongol ruler Genghis Khan.